EPW006001 ENGLAND (1921). Charterhouse, Islington, 1921. This image has been produced from a print. 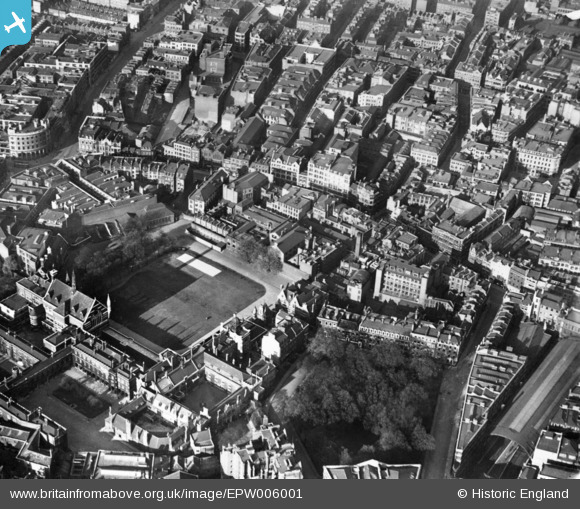 Title [EPW006001] Charterhouse, Islington, 1921. This image has been produced from a print. Aldersgate tram terminus, opposite Fann Street served by four tram services: 13 - Highgate, 37 - manor House, 39 - Bruce Grove, and 77 - West India Docks. Because of lack of space to create a turning circle this terminus was discontinued in October 1938 when replacement trolleybus route 677 was diverted to the nearby "Smithfield" terminus in St John Street.